There’s no explanation needed. Headphones are a necessity of everyday life. Weather you need to take hands-free client calls, listen to your favorite podcast on your daily commute, or have your tunes with you to pump up your workout, headphones are a handy invention to make your life much easier and convenient. Not only are they now making headphones smaller and cordless, they are also improving the quality at a fast rate. Just like any other new tech product, you’re either the person who opts in for quality and is willing to search for the right option, or someone who just settles on a low price point and deals with the re-occurring price tag that comes with just buying a product to do the job. But sometimes, we don’t realize that buying cheap products not only makes things much less convenient, but it ends up sometimes costing more and actually could be detrimental to our health! Did you know that the ear is made up of three parts that work together to process sounds: the outer ear, the middle ear, and the inner ear. When loud sound is transmitted to the inner ear, our hearing can become damaged permanently. This topic has been circulating the media for some time now, and it creates a concern of how to really know what headphones are safe to use or not. I’m sure you’ve tried to use cheap headphones once in your life, weather it be on an airplane, sharing with a friend or because you grabbed some dollar store headphones that one time you needed a quick fix. You’ve experienced turning the volume up to the max and wondering in that moment if you should really be taking that risk, all for music that sounds like its coming out of a tin can. Nevertheless, you’ve changed your view on headphones after that. You’ve gone from not caring so much about them, to realizing that the market for them is there and there’s some life changing headphones on the market, if you’re talking about sound quality, protection and reliability. So while making the switch to a better pair of headphones you’ve realized all those little things that matter when searching for the perfect pair. You’ve heard about your friends getting headphones and then the pair isn’t able to connect – the dreaded incompatibility message. You’ve experienced a call cutting out in the middle of an important conversation and then find yourself standing there, talking to thin air and not even being heard by the person on the other end. Or, an equally bad scenario is when your music skips, cuts and only plays out of one ear. Having a favourite song, but not being able to hear half of it can become more than annoying. There are even some headphones that have such bad sound quality you’re better off listening to music outload on your phone speaker. It sounds rather like a tin-can symphony than some soothing jazz. Using these headphones encourages you to crank up the volume and risk potentially damaging your hearing, just to be able to hear the few lyrics in the song you’re listening to, or just enough to attempt to hear the soft whisper of the recipient on the other line. Or maybe you’ve even experienced lag time between video and sound. You think to yourself – is this even possible with headphones? After running into some of these problems you decide that it is time to invest in some quality headphones. You’re ready to take sound quality and reliability over distorted music, dropped calls and quality so bad it makes you really question what you’re listening to. So you do some research and you feel that Apple AirPods or Apple Earbuds are a good investment. Sticking with a quality brand name never let you down. Plus, features like instant connectivity and automatic sync connection for pause and play sold you. 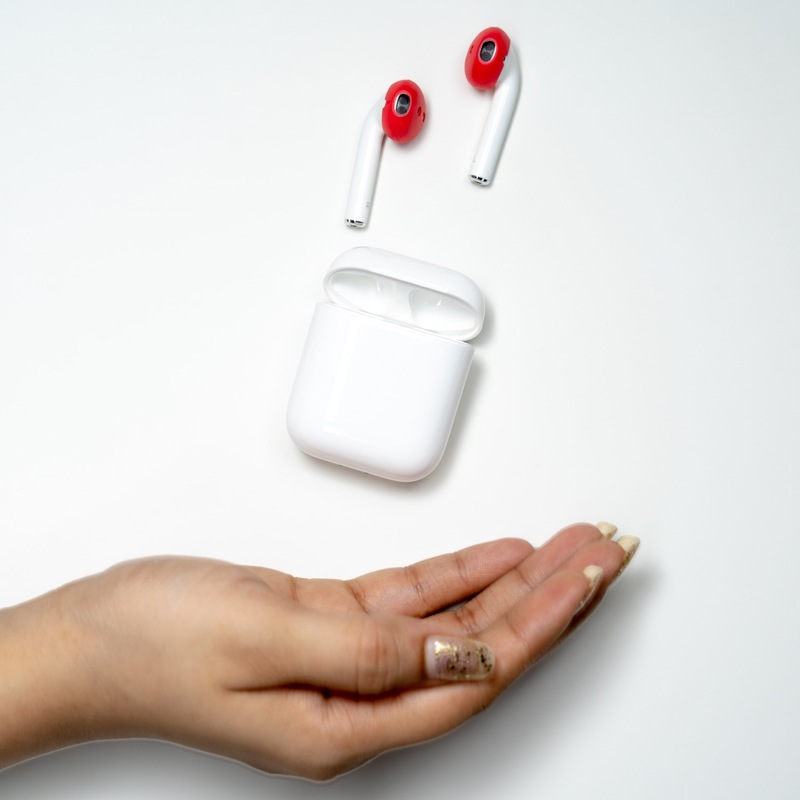 The AirPods use optical sensors and a motion accelerometer to detect when they’re in your ears and beamforming microphones to filter out background noise and focus on the sound of your voice. It’s the real deal. Once you receive your package in the mail you become excited to test out some quality headphones. You open the box, read the pairing instructions and connect it to your phone and listen to your favourite song. 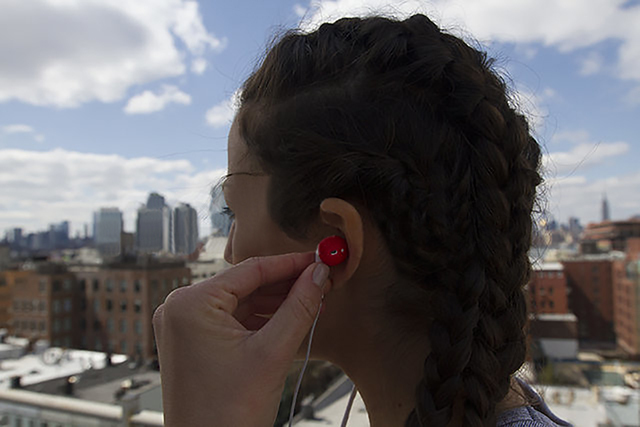 You think to yourself, FINALLY headphones that you can hear the full stereo output and 23 ohms frequency response. You start to appreciate your music more and more, and your significant other can even hear you chewing on the other side of the phone ( we never said all sounds are good sounds 😉 ). You’re quite happy with your headphones until you head out to the gym. You clipped your phone on your pants using SlimClip Case, and it seems like you’re ready to get into the zone. Everything is great until your second push up. You’re shocked to see your headphones lifelessly on the ground. Maybe it’s just because you need to find that sweet spot that they fit perfectly in your ear? You give it one more shot. Again, and again. Hundreds of dollars invested into these headphones and they don’t even fit in your ears?? After your music-less workout, you walk to the change room with your head down. No, you’re not enraged. You’re not even upset. You’re utterly disappointed (as we all know as the worst feeling in the world!). You feel cheated and stupid. How can you spend so much and receive a product that you can’t even use? You’re ready to throw in the towel. Heck, you’re ready to just walk around with your phone on speaker and music blasting. You think it might be too late to return them, so you think how you can save your purchase… or you’re even thinking about re-gifting them to a friend. Who needs to know about your gym catastrophe – it’s not THAT bad right? AERZ is specifically designed for Apple AirPods and Apple Earbuds. The cover enhances the sound quality, security and comfortable of the headphones and it ACTUALLY makes the headphones stay in your ears. Since Apple is a brand bought by millions, it only makes sense that they had developed a product trying to fit for everyone. Although, it just so happens that all of our ears aren’t the same size – that’s where AERZ comes in. Designed with the goal of everyone being able to enjoy quality sound with elevated comfort at the same time, AERZ earbud covers are the optimal solution to finding the perfect headphones, plus they don’t cramp your style. So next time, save yourself the headache, potential hearing damage and extra dollars spent, and opt in for a solution that elevates your experience with the best sound quality you can get on the market.